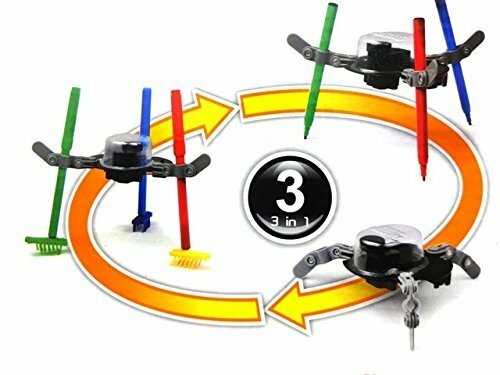 A creative robot with mechanical and scientific powers! 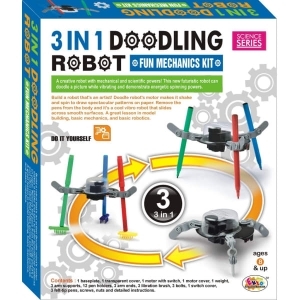 This is new futuristic robot can doodle a picture while vibrating and demonstrate energetic spinning powers. Build a robot that's an artist! Doodle robot's motor makes it shake and spin to draw spectacular patterns on paper. 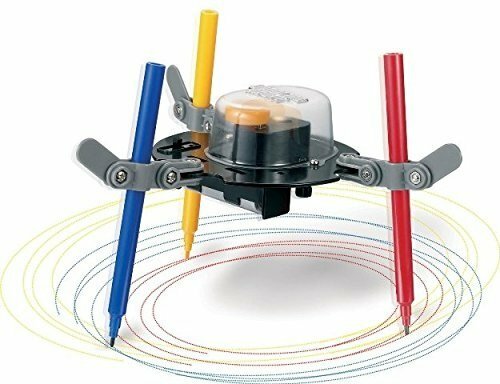 Remove the pens from the body and it's a coll vibro robot that slides across smooth surfaces. A great lesson in model building, basic mechanics, and basic robotics.